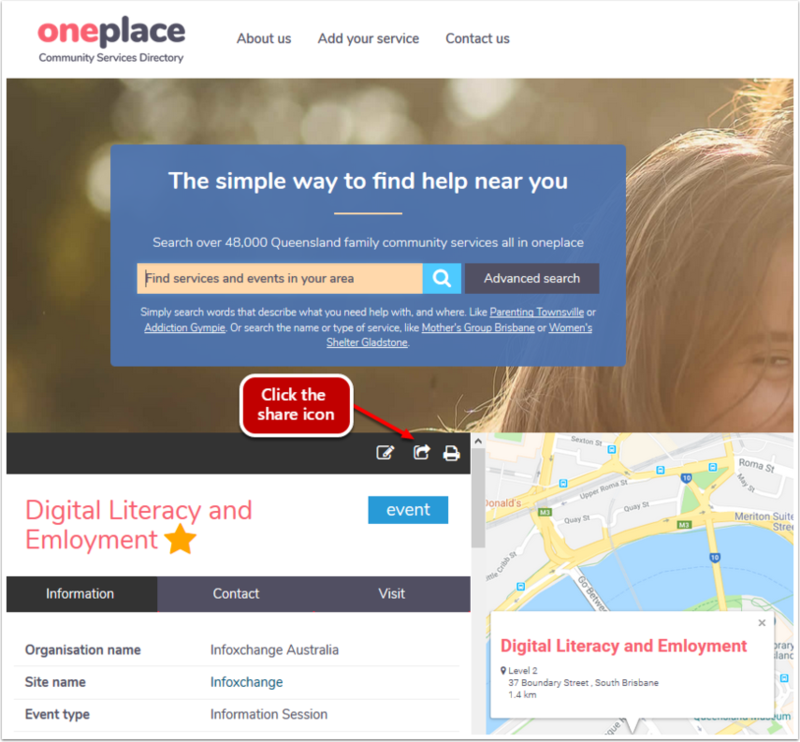 Logged in users of oneplace are able to share services, sites, events and searches from their favourites so that their colleagues and friends can quickly perform these actions in their own time. 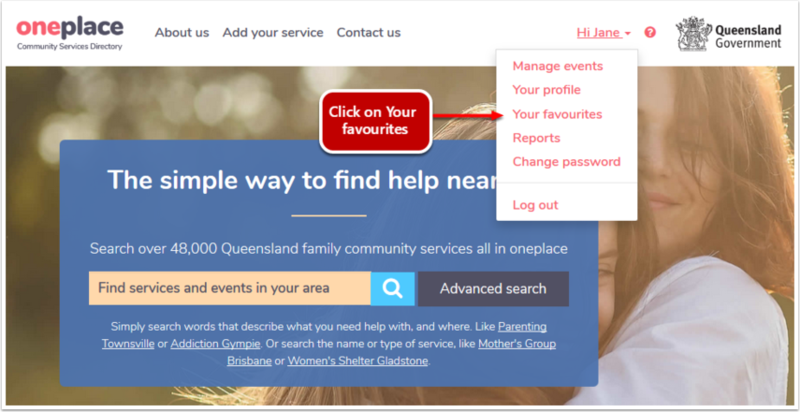 To manage your favourites, click on your login name and select Your favourites from the drop down list. from the favourites service tab in Your favourites. 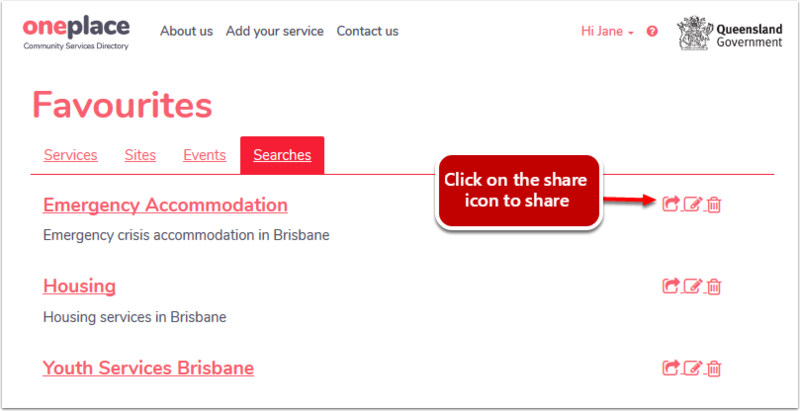 whilst you are viewing the service details. Click on your login name and select Your favourites. Select Services from the favourites tabs (this is the default tab when opening favourites). 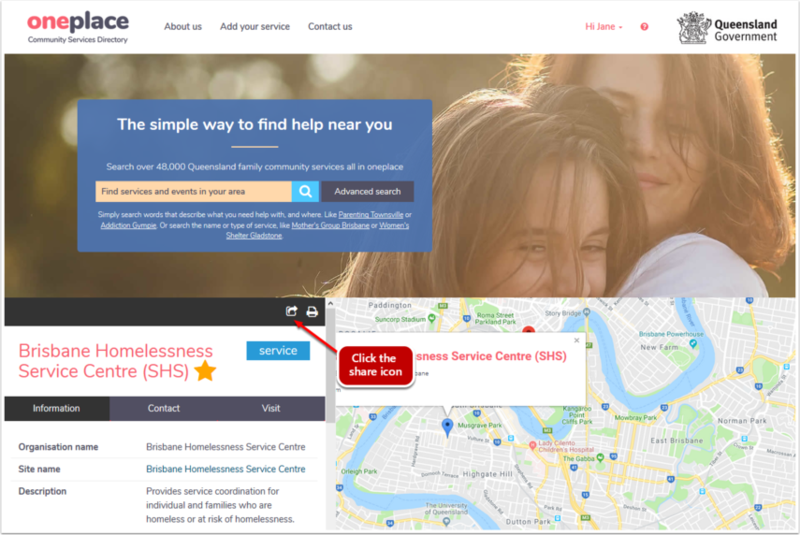 Find the service you want to share. 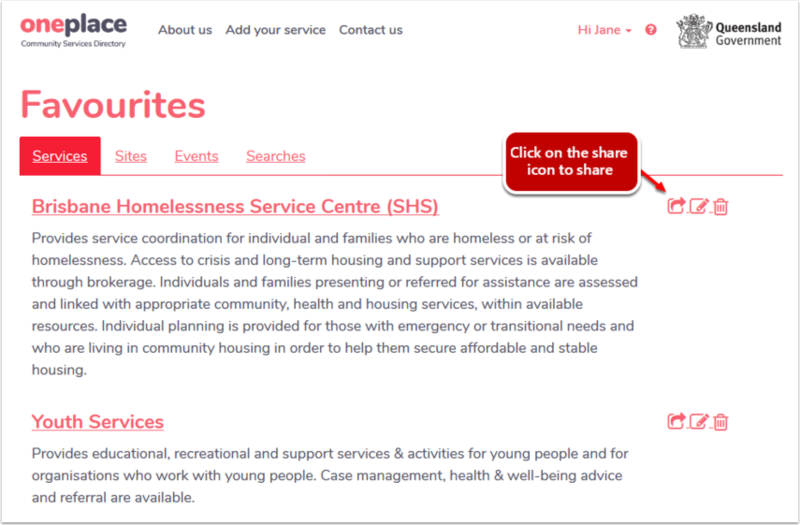 Click on the file & arrow Share icon to the right of the service to share the service via Facebook, Twitter or email. Open the service you want to share. 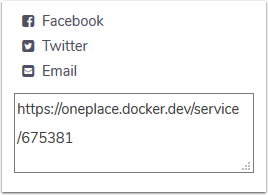 Click on the file and arrow Share icon in the grey area above the service name. A drop down list of share methods will display. Select to share from Facebook, Twitter or email. from the favourites site tab in Your favourites. whilst you are viewing the site details. Select Site from the favourites tabs. 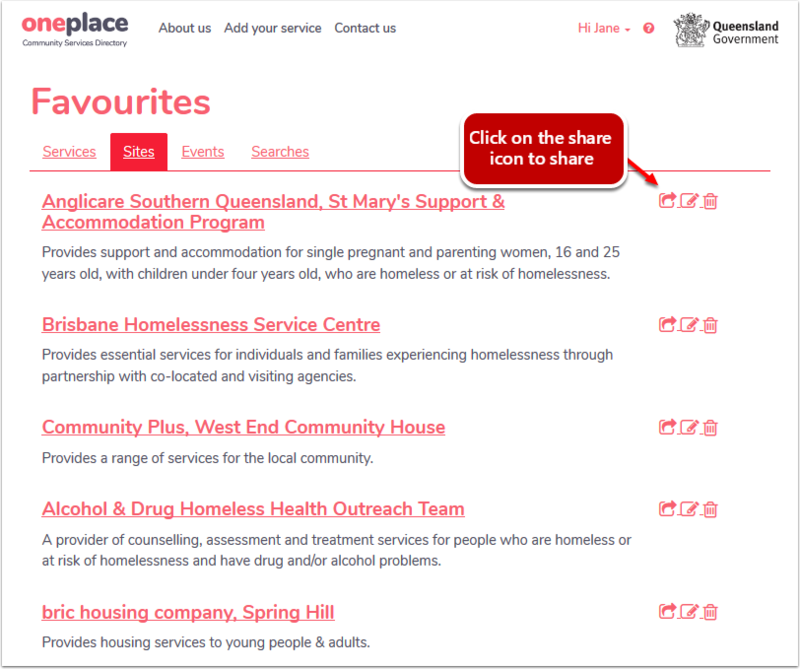 Find the site you want to share. 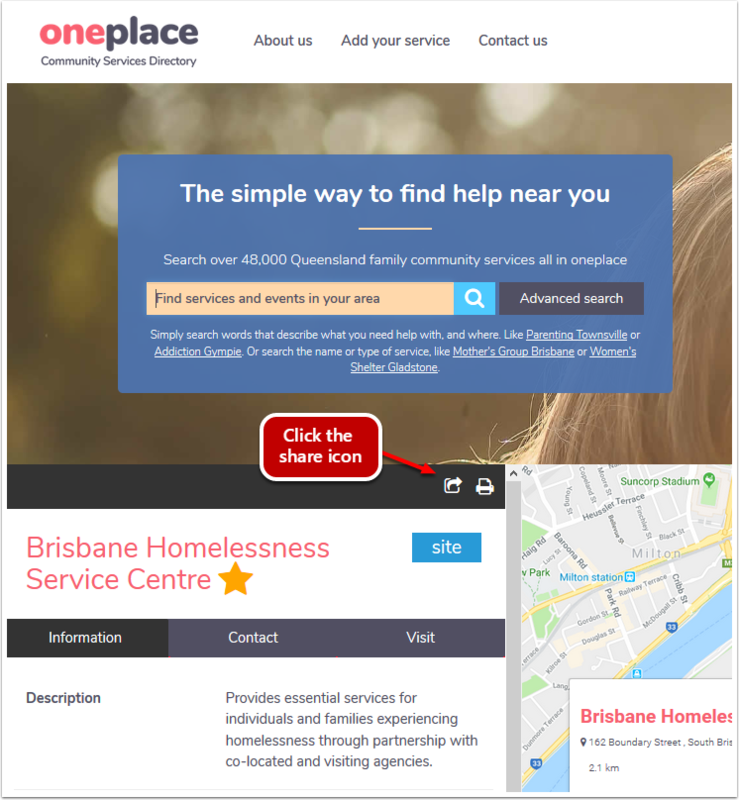 Click on the file and arrow Share icon to the right of the site to share the service via facebook, twitter or email. 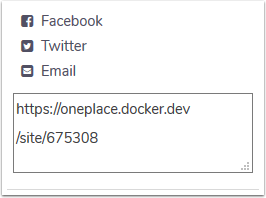 Open the site you want to share. 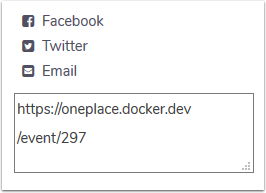 Click on the file and arrow Share icon in the grey area above the site name. from the favourites events tab in Your favourites. whilst you are viewing the event details. Click on the Events tab of your favourites. Click on the file and arrow Share icon next to the event you want to share. open the event you want to share. click on the file and arrow Share icon in the grey area above the event name. Click on the Searches tab of your favourites. Click on the file and arrow Share icon next to the Search you want to share.